Photographer and visual artist from Rio de Janeiro. Before settling in the English capital, she lived in Ireland and Greece, where her work was exhibited several times. Her artwork is inspired by social-political issues related to gender, race, and class - being an afro-latina and feminist herself these points are a major affair and certainly the main inspiration throughout her art works. Nina has been exposing her thoughts visually for over 10 years working as a commercial photographer and artist. 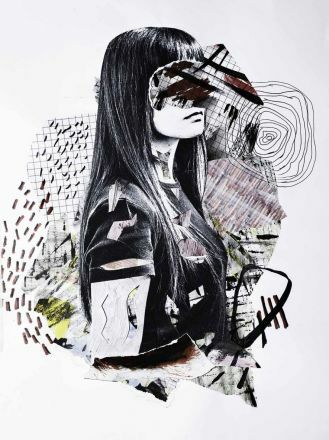 Whilst creating a dialogue about contemporary society and its traces from history, her interest lies in combining photography with several techniques creating interventions on the images, such as mark-making, collage, and painting to make a statement.